How Do Amino Acids Help You? Amino acids help you to fight anxiety, depression and save you from insomnia. Other amino acids function as neurotransmitters and promote a relaxed feeling. They also give you better mental focus. The amino acid responsible for this effect also improves your reaction and decision making time. One of the amino acid types called Cysteine boosts your ability to fight disease causing microorganisms by supporting lung function and the liver’s detoxification efforts. L-arginine is another amino acid type that is the precursor to another compound that regulates how flexible your blood vessels are. Better blood-vessel health is useful for your cardiovascular health, blood pressure and improves blood flow to all your body organs. If Aminoacidopathy is detected in the test results of your amino acids test, it is good that you embark on dietary treatment. Further testing regularly helps your doctor keep your amino acid levels under control. This way, nutrition is kept adequate for growth and development. What is the Purpose of Amino Acid Test? An amino acids test is a quantitative test. The analysis is done by high performance ion-exchange liquid chromatography. You may have undetected impairments in amino acid metabolism. Sometimes, the impairments remain undiagnosed and cause you more health problems. An early diagnosis and subsequent treatment is a life saver. It helps minimize or prevent symptoms depending on the history of the disorder. Children are the age set that most often undergo an amino acids test, especially when a child is suspected of having Aminoacidopathy (an amino acid metabolism error). To break down amino acids, proteins called enzymes are needed. If there is a problem with the gene that codes for the production of a specific enzyme, normal metabolism gets interfered with. The amino acids that are not being broken down accumulate in the body and turn toxic. Is any Preparation needed for Amino Acid Test? 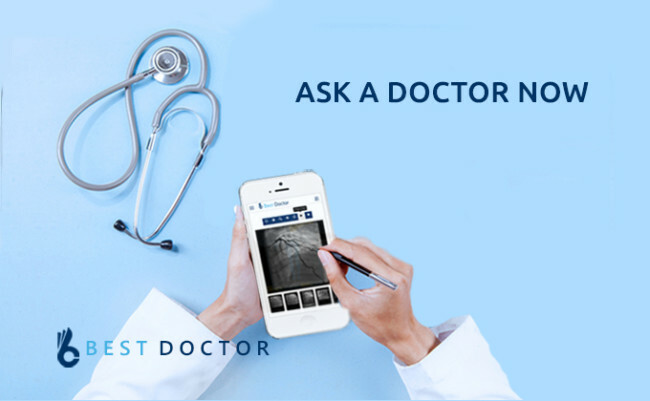 You will not need any test preparation when your doctor asks for a urine amino acids test. It is a simple and quite friendly test. For a plasma amino acids test, your doctor will give you a time period during which not to eat some foods or any food at all. How is the Amino Acid Test Done? There are numerous known amino acid deficiencies that have been documented and written about in medicine. The symptoms of these Aminoacidopathies range from intellectual disability and seizures to rapid breathing. Failure to thrive, poor feeding and vomiting may also be pointers to an amino acid deficiency. If you have such symptomatic presentations, the doctor attending you might request that you have a plasma amino acids test or a urine amino acids test. In an amino acids test, a sample of your urine or plasma is obtained and analyzed. With a good amino acids balance, you live your life to the fullest. All the amino acids in your body can be separated and tested for in urine or plasma. Depending on the sample used, you will undergo either a plasma amino acids test or a urine amino acids test. Sometimes, your doctor might ask for both tests to be done. Testing helps medical personnel identify the changes that may in turn point to inborn errors of metabolism in your body. The Plasma amino acids test is useful for clarification of the diagnoses that are suggested by other testing. It is a good indicator if any change in diet is needed. A plasma amino acids test will check for essential amino acids, gastrointestinal markers and non-essential amino acids. It can also give information about your urea cycle metabolites, neurological markers, magnesium-dependent markers and detoxification markers. Bonus information for your healthcare provider from this test is information about your vitamin levels including vitamins B6, B12 and Folate. The specimen needed for the Plasma amino acids test is around 8 milliliters of whole blood. It is usually collected after an overnight fast. Fasting levels of non-essential and essential amino acids help your doctor to avoid effects and influences from any recent dietary intake you might have had. It very accurately pinpoints problems with your body’s amino acid absorption. A urine amino acids test has a very high probability of finding abnormalities when your renal function is within normal parameters. It can be done in a spot check using morning urine or over a period of 24 hours. The 24 hour urine amino acids test is a very good indicator of what is low and high over the course of 24 hours. It reflects tissue and blood amino acid pools. It is not affected by your circadian rhythm. If your kidneys are healthy, they help your body to maintain essential amino acid levels efficiently. The levels thus decrease at first and give an earlier indication when you have amino acids inadequacy, earlier and better than a plasma amino acids test. Reference ranges vary with age. Increased or decreased amino acid levels of certain amino acids will point to different possible aminoacidopathies. For instance, increased glutamine may point to a defect in the urea cycle. The laboratory issuing the report will document on any important findings. You must keep in mind that even if you have normal concentrations of the amino acids under test. It does not necessarily mean that you do not have an inborn error of metabolism. 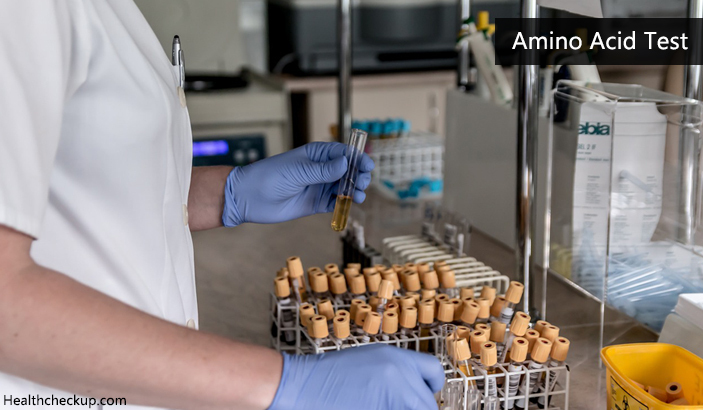 You are free to request for an amino acids test in any medical facility that offers medical laboratory services. You might have to cater for its cost, or your medical insurer might do it for you. The costs of your test may vary depending on whether you take a urine amino acids test, a plasma amino acids test or both. Consult your medical insurer so that you are clear on who will cater for the financial cost of the amino acids test. Additionally, be willing to seek further medical attention if your results show that you have a medical issue with the production and elimination of amino acids in your body. What Not To Do Before A Smear Test? Can Anxiety Cause Chest Pain And Tightness?